Happy Friday! This week has flown by for me, and I couldn’t be happier, because there’s a 3-day weekend on my horizon. TJ and I have a little adventure planned for the weekend that I’ll share more about on Monday. 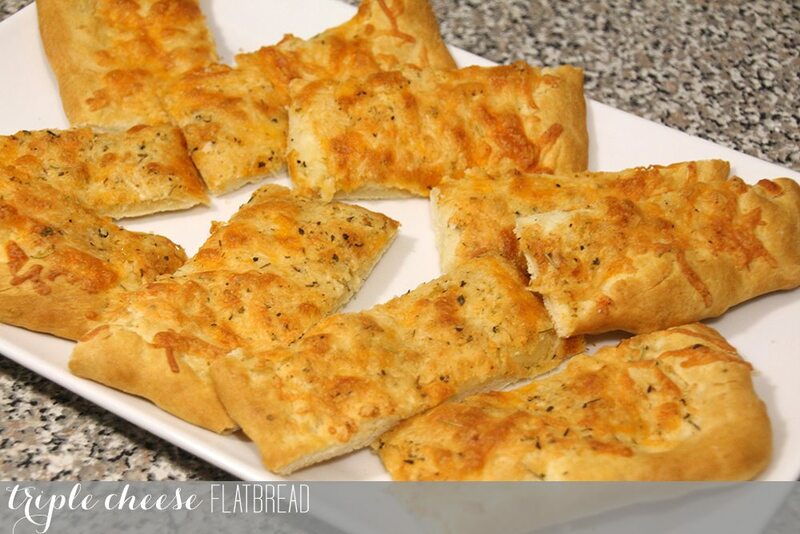 If you’re looking to spend a little time in the kitchen over the next few days, you’ve gotta try this triple cheese flatbread. 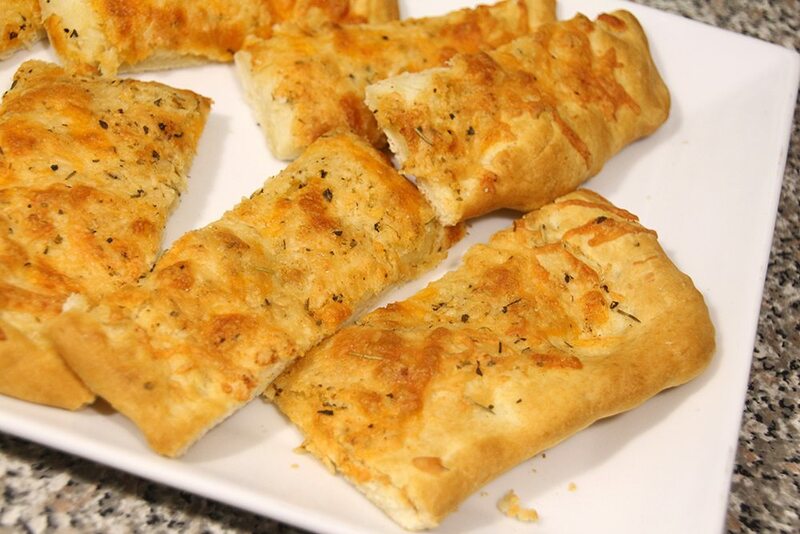 It’s perfectly cheesy and garlicky, and it’s a great vehicle for a tasty dip. 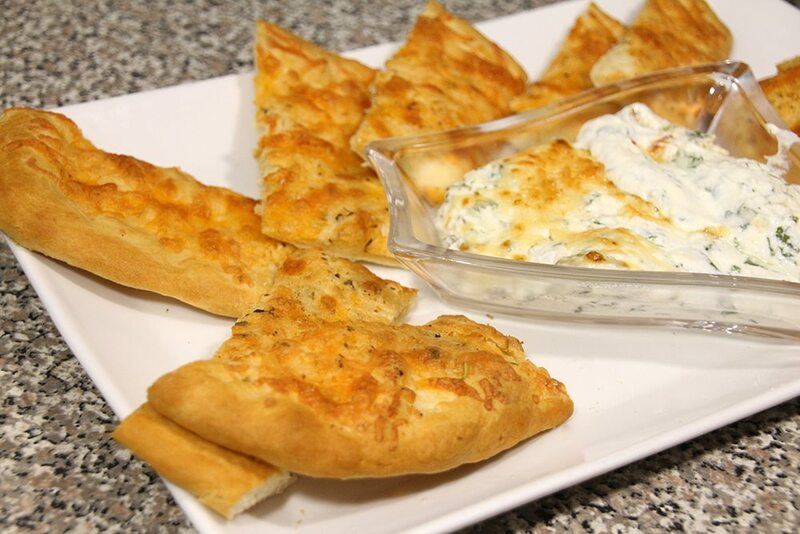 We paired it with this Spinach and Feta Dip, and it was delicious! Mix the Bisquick mix and hot water until a stiff dough forms. Let stand for 10 minutes. 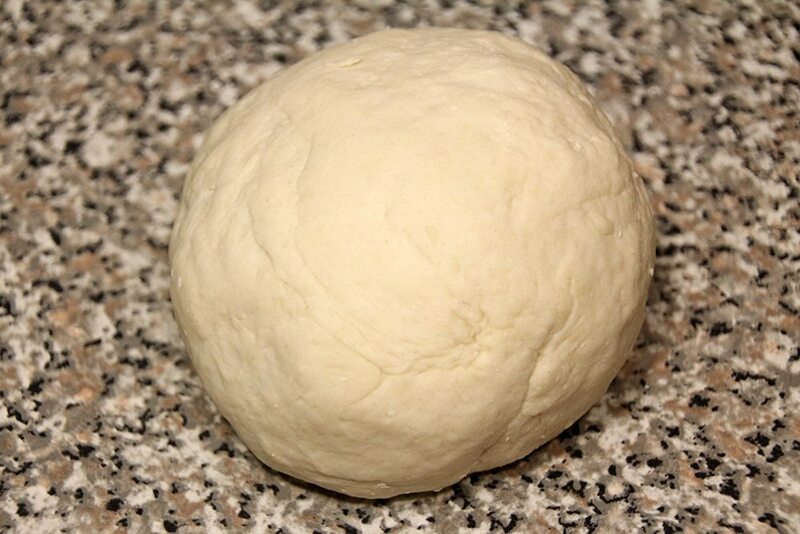 Place dough on a surface lightly sprinkled with Bisquick. 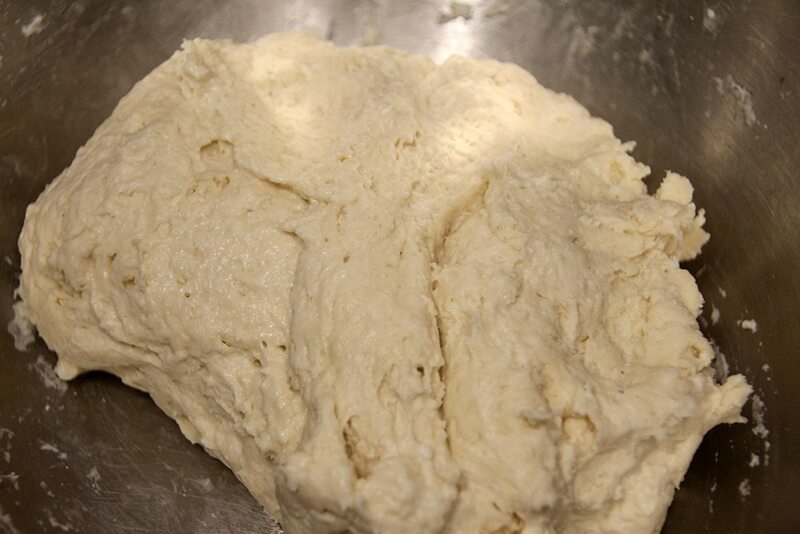 Roll the dough in the Bisquick to coat, then shape into a ball and knead until smooth. 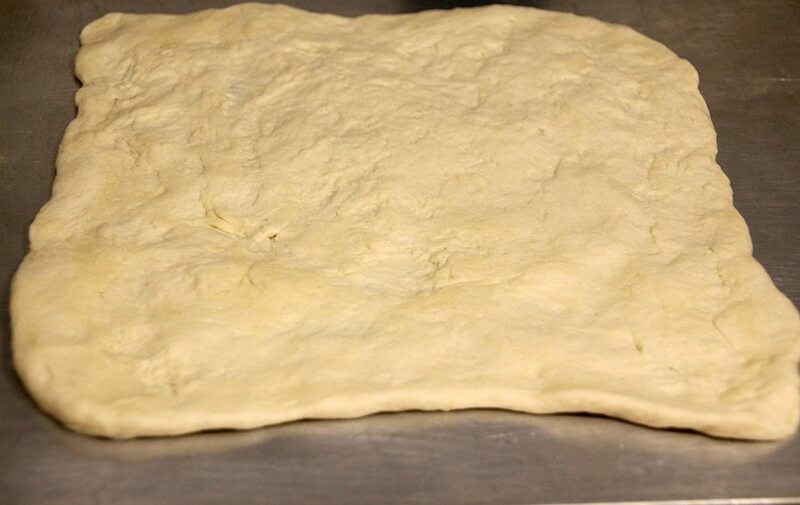 Pat the dough into a 12-inch square on an ungreased baking sheet. 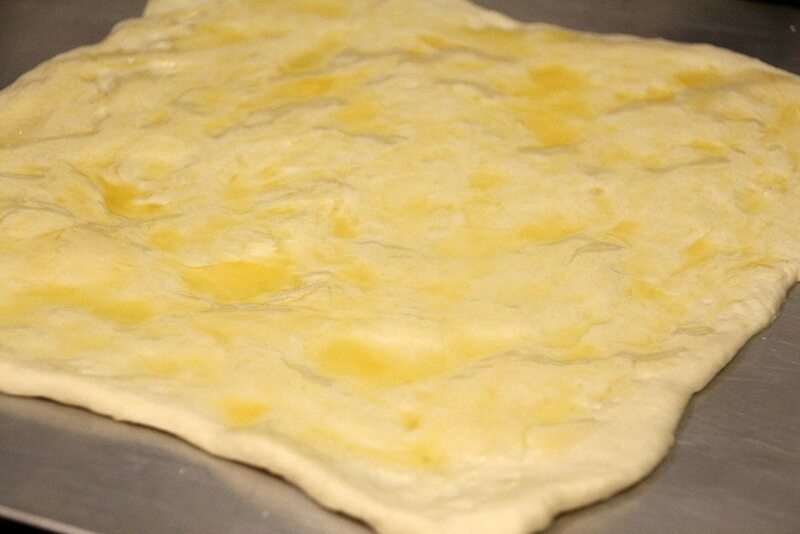 Brush the melted butter across the top of the dough. 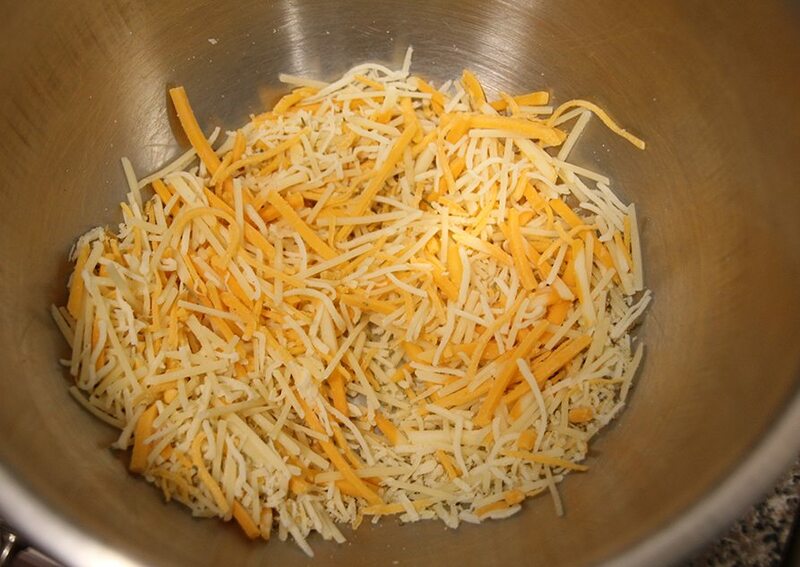 In a small bowl, combine all cheeses, garlic powder, and Italian seasoning. 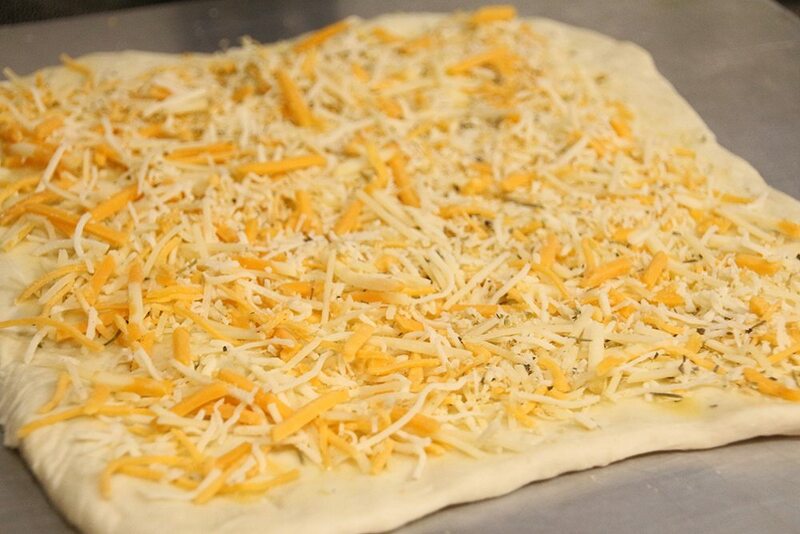 Sprinkle the cheese mixture evenly over the dough. 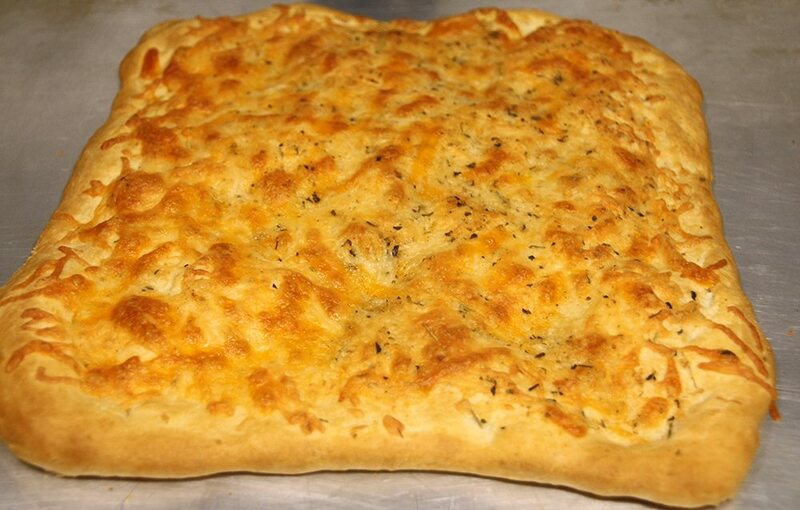 Bake at 450 for 10-12 minutes, or until the edges are golden brown. This looks amazing, I am so making this soon! Thanks for the recipe, have an awesome 3 day weekend! Oh my word, this looks amazing.